Monique was born on Octobr 9, 1991 in Pakil, Laguna. She is mostly a self taught artist and latter on was mentored by her husband Chubern di Loretto. One of her major inspirations is Frida Kahlo, which she often empathise with both as a woman and as an artist. Her husband encouraged her to learn more techniques and seek ideas and inspirations on her own. She found one from one of her daughter’s toys, a babushka doll. Babushka dolls were originally called Matryoshka dolls from the word “mater” meaning mother. The dolls were a symbol of fertility that represents the tight closeness of family and connections between future generations. 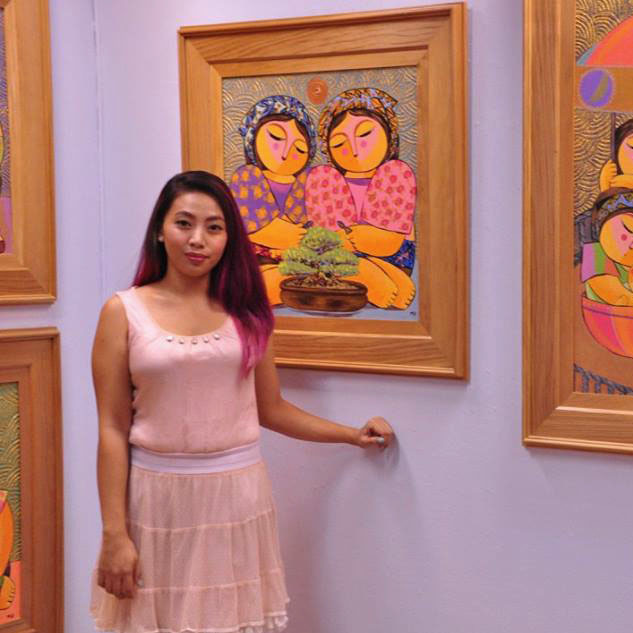 As a mother, artist and a Filipina, Monicque sees the importance of femininity and the strength it takes to keep the family whole. Her art is the reflection of her belief and what she stands for.